WASHINGTON -- As word spread within the Peace Corps that a new book would be published about the long-ago slaying of a woman by one of her fellow volunteers, officials prepared for the expected fallout by crafting a public relations strategy to protect the agency's image. Top officials, including Peace Corps Director Gaddi Vasquez, were briefed and talking points prepared so they could respond to press inquiries about the death of the Lakewood woman. Peace Corps recruiters were provided guidance about how to handle questions from potential volunteers. While publicly the Peace Corps mourned the death of Deborah Gardner in the Kingdom of Tonga 29 years ago, officials were advised to say they had only "limited" information about the circumstances that allowed her accused killer, Dennis Priven, to go free, according to documents obtained by The News Tribune in Tacoma. 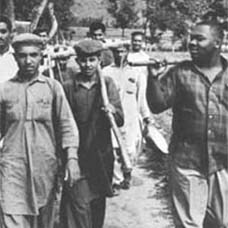 Even a search of the National Archives had failed to provide details because most of the records were routinely destroyed, according to briefing papers. At the same time, no public apology was offered to Gardner's family, and Peace Corps officials were to say they could not "pass judgment" on those who allowed Priven to be released, according to a copy of the talking points, marked "for internal use only, not for distribution." The documents, obtained under a Freedom of Information Act request, offer no insights into how far the agency went in investigating Gardner's death. Parts of the documents were kept secret because they dealt with legal issues involving the Peace Corps' general counsel's office. The U.S. Attorney in Seattle is trying to determine whether the case can be reopened. But the Peace Corps has shown little interest. "We are not taking an active role in trying to open up the case," Barbara Daly, a Peace Corps spokeswoman, said last week. "We would cooperate in any way we can." The documents, many of them internal e-mails, also show Peace Corps representatives in Tonga and officials at the U.S. Embassy in Australia were advised to not to answer press inquiries. 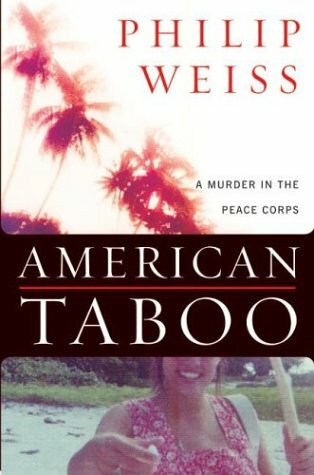 Instead, they were to refer reporters to the agency's public information office in Washington, D.C.
Gardner's father, Wayne, and Philip Weiss, the author of the book on the case, have long maintained the Peace Corps has engaged in a cover-up. "I think not only the Peace Corps, but the State Department and the Justice Department have all been covering it up," said Wayne Gardner, who now lives in northern Idaho. "The Peace Corps only cares about itself and its image." A Lakes High School graduate who had been teaching high school biology and home economics in Tonga, Deborah Gardner was 23 when she was stabbed to death. Priven, a fellow Peace Corps volunteer, was charged with her murder. But after a nine-day trial, he was found innocent by reason of insanity. The Peace Corps hired a highly respected lawyer to defend Priven. It also provided a psychiatrist from Hawaii, who testified Priven suffered from latent paranoid schizophrenia. Tongan prosecutors did not have the resources to hire their own psychiatrist. After a State Department official offered written assurance that Priven would be committed to a mental hospital in the United States, he eventually was released to U.S. custody. But after spending two days in a Washington, D.C., hospital, Priven checked out after a psychiatrist found no evidence of schizophrenia. The Peace Corps gave Priven a routine discharge. He has been living in Brooklyn, N.Y., where he worked for the Social Security Administration before retiring in 2003. Now 52, Priven has refused to speak to the press.